Home » By Type » Fountain pens » Why are fountain pen sales rising? Today an interesting article appeared on the BBC News web site: “Why are fountain pen sales rising?“. 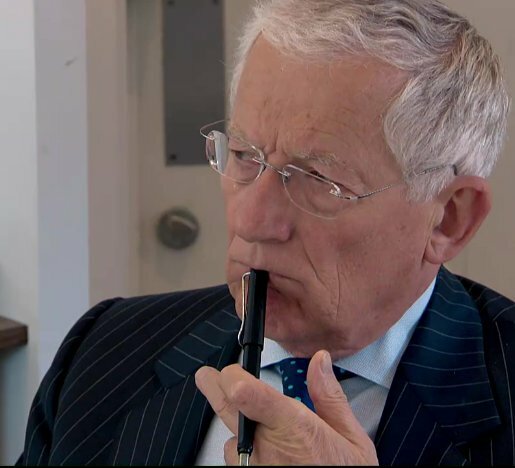 You might remember that Nick Hewer from the Apprentice is using Lamy fountain pens (see my blog post from last summer where you can see him using a Lamy Joy). 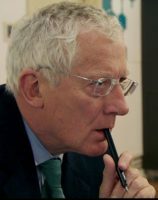 He is being mentioned, too, and there are also links to other fountain pen related articles. The photos of Nick Hewer using a Lamy Safari have been taken from series 8 episode 2 and 6 of The Apprentice UK. I believe that the use of these images falls under “fair dealing” as described by the UK Copyright service. Nice article – a good read, some of the comments are also interesting. Thanks for posting it. I read somewhere that most of the rise stemmed from “the newly rich” in Asia, who needed to flash an expensive pen at meetings. I would like to think that they also use the pens, but looking at the current production, there aren’t many I would trust my hand or shirt pocket with..